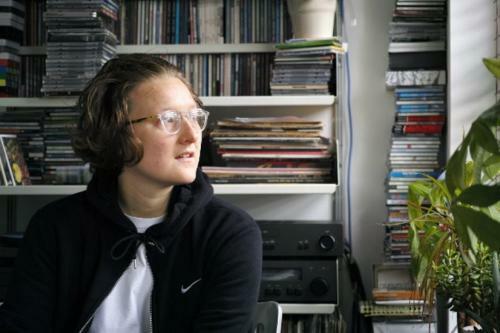 London’s Beatrice Dillon is a producer, composer and NTS DJ with acclaimed releases and remixes across The Trilogy Tapes, PAN, Boomkat Editions and Where To Now?. Recent solo performances include Documenta 14 Athens, Cairo’s Masåfåt Festival, Moscow’s Save Festival, Borealis Norway and The Barbican Centre, London. She has collaborated internationally with visual artists producing sound and music for film, installation and performance at ICA, Tate, Southbank Centre, Lisson Gallery, Centre d’Art Contemporain Geneva, Nasher Sculpture Centre Dallas and Mona Tasmania amongst others. Dillon was the recipient of Wysing Arts Centre’s artist residency in 2016 and is a resident on NTS Radio. Her collaborative EP with Gunnar Wendel (Kassem Mosse), ‘Pulse High’ was released on The Trilogy Tapes earlier this year.